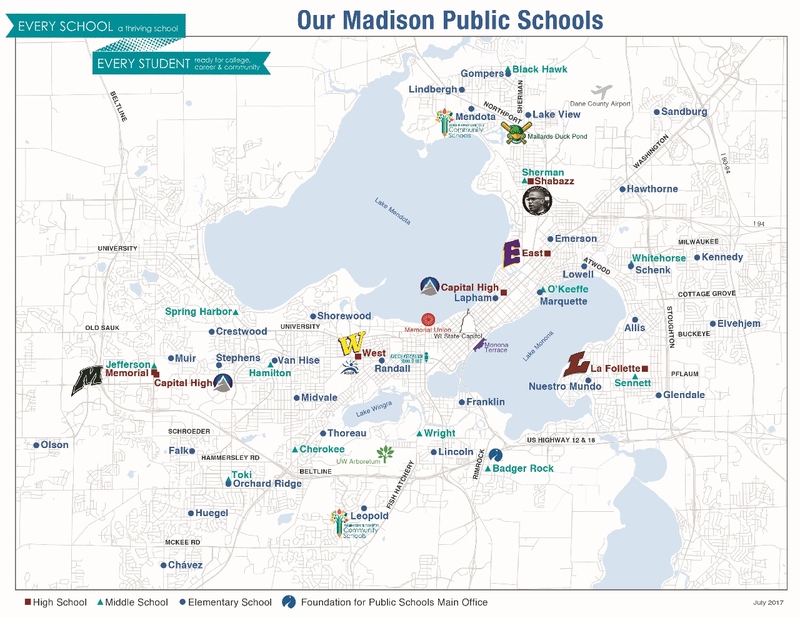 The Madison Metropolitan School District is the second largest school district in Wisconsin and serves over 27,000 students in 50 schools. The district covers approximately 65 square miles including all or parts of the cities of Madison and Fitchburg, the villages of Maple Bluff and Shorewood Hills, and the towns of Blooming Grove, Burke and Madison. MMSD is committed to ensuring that every school is a thriving school that prepares every student to graduate high school ready for college, career, and community. Developed together with staff, families, students and community members, their Strategic Framework describes their strategy as a district. Together, we have set out to close the gaps in opportunity that lead to gaps in achievement.